The Road Called Life goes to SDIKFF! the San Diego International Kids Film Festival! 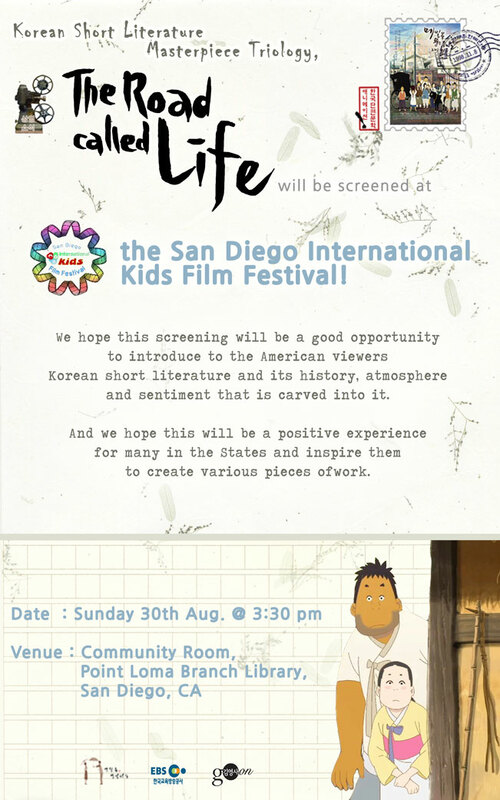 We hope this screening will be a good opportunity to introduce to the American viewers Korean short literature and its history, atmosphere and sentiment that is carved into it. And we hope this will be a positive experience for many in the States and inspire them to create various pieces of work.